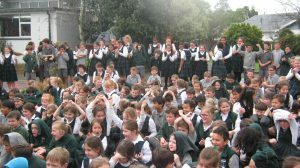 St Patrick’s School students celebrate becoming a Green-Gold Enviroschool. A 10-year journey of environmental learning and growing at St Patrick’s School in Masterton was recognised with a Green-Gold Enviroschool award in September last year. Enviroschools is a nationwide programme that supports young people plan, design and implement sustainability actions in their communities. It works in partnership with schools, local councils, and a network of other regional and local supporters. Masterton’s Mayor Lyn Patterson presented a Green-Gold certificate to the school and Brigidine Sister, Sr Monica Landy, made a blessing and planted a Rimu tree. 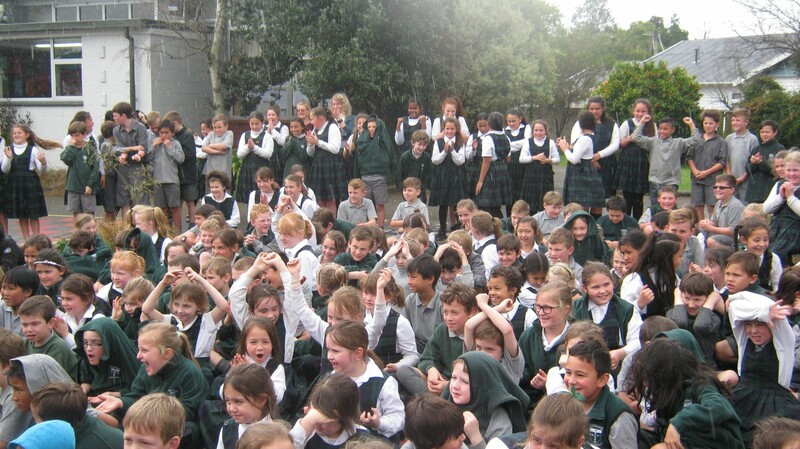 Guests included Hellen Johnston, principal when St Patrick’s began its enviro journey in 2006, and Chris Peterson, a district councillor and old boy of St Patrick’s School and Masterton’s St Joseph’s College (now Chanel College). Students were each given a sunflower seedling to take home to celebrate becoming a Green-Gold Enviroschool. The school has embedded practices around reducing waste and carbon emissions. Every child starting school is given a reusable container to help avoid selecting over-packaged foods and written inside is the school’s commitment to reducing waste in school. Gill Stewart, St Patrick’s Enviroschool facilitator, says the Catholic curriculum and Enviroschool principles intertwine. When Pope Francis wrote Laudato si’ – On Care for our Common Home the year before we went Green Gold, it was a happy coincidence as it reinforced our action and our thinking.